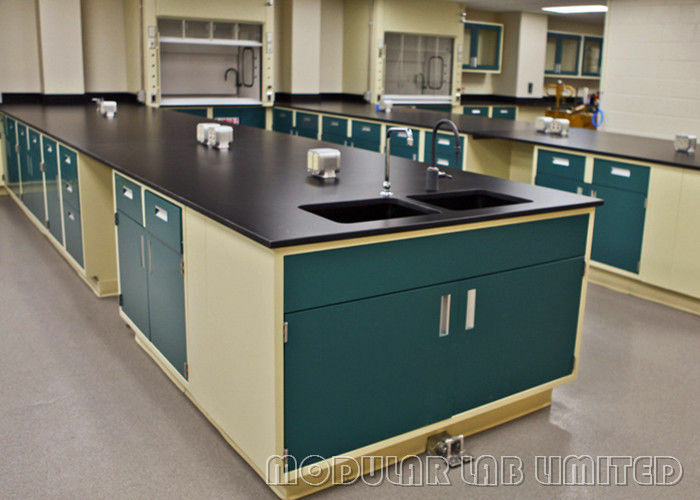 Epoxy Resin work surfaces are monolithic, offering consistent chemical resistance throughout. They are molded from modified epoxy resin, compounded and heat cured. Epoxy Resin offers outstanding resistance to acid, alkali and solvents, as well as physical abuse. The low-sheen black satin finish makes Epoxy Resin an ideal work surface, both aesthetically and functionally. Epoxy Resin work surfaces are ideal for use in applications requiring maximum physical and chemical resistance. Epoxy Resin countertops and shelves are 1" thick and will have a continuous drip groove 1/8" wide 1/8" deep on the underside of all exposed edges. All exposed edges are finished with a 1/8" bevel; back guards are 1" thick. Available in Black, Grey, or White. Ceramics worktop not only resist strong acid and alkali, but also resist scratch, fading, ageing, high temperature (as high as to 1200oC) and ultraviolet radiation. It is free from solvent, and non-toxic. The side bench is 750mm; the center bench is 1500mm. construction provides strength and durability. Electrostatic epoxy applied powder coat paint system for superior corrosion resistance. Full height removable back provides full access to service chase. Telescoping panels, painted inside and out. Sound deadening materials are between panels. Recessed 5 knuckles Stainless Steel hinge which passed 100,000 times opening and closing tests are for opening and closing automatically and 3d for adjusting many functions. The door has friction roller catch. Sound deadening materials are between panels. Interchangeable, interlocking drawer head, sound deadened is for quiet operation. One piece drawer body with radiused bottom is for easy cleaning. Nylon tired stainless steel ball bearing drawer rollers for smooth operation. Door slide, HAFELE, which is German brand, has good quality and without noise. Be made up of 1.2mm cold-rolled steel, covered with EPOXY RESIN powder static painting to resist acid and alkali and stand heat. The height can be adjustable according to different requirement. 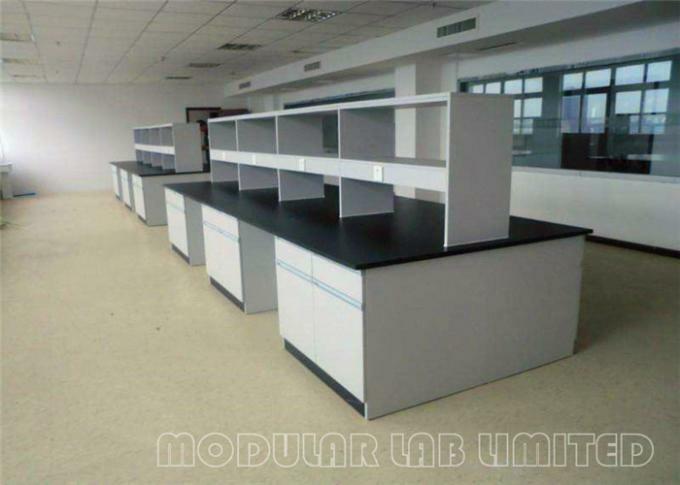 Modular Work Surfaces fit virtually any requirement. Modular provides you with a versatile selection of work surface materials to meet any application. These materials, used in countertops, shelving and back guards, are described below. Work surface components are available in both standard and custom dimensions to meet your requirements.